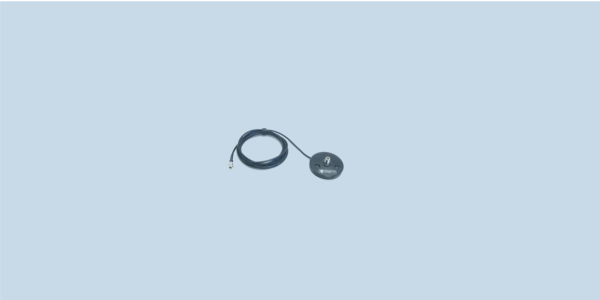 ADM21/N is a magnetic antenna mount for antennas with frequency range of 1 to 2500 MHz and N-male connector that need to be placed on vehicle or conductive surfaces. ADM21/N is a low-profile magnet base intended for use with mobile antenna radiators with N-male connectors. It is composed of an aluminum housing and three neodymium magnets, the strongest type of permanent magnet commercially available. The pull force of each magnet is 35 kg, so the base can be used in hardest environmental conditions and even on (MIL rough) thick painted vehicles. The ADM-21/N magnetic base has integrated coaxial cable length of 4 meters and ended with FME female connector. Various adapters from FME to N, BNC, TNC, UHF, SMA, etc. are available upon request.